Blotch and Thrum: Super Bright! Super Tote! 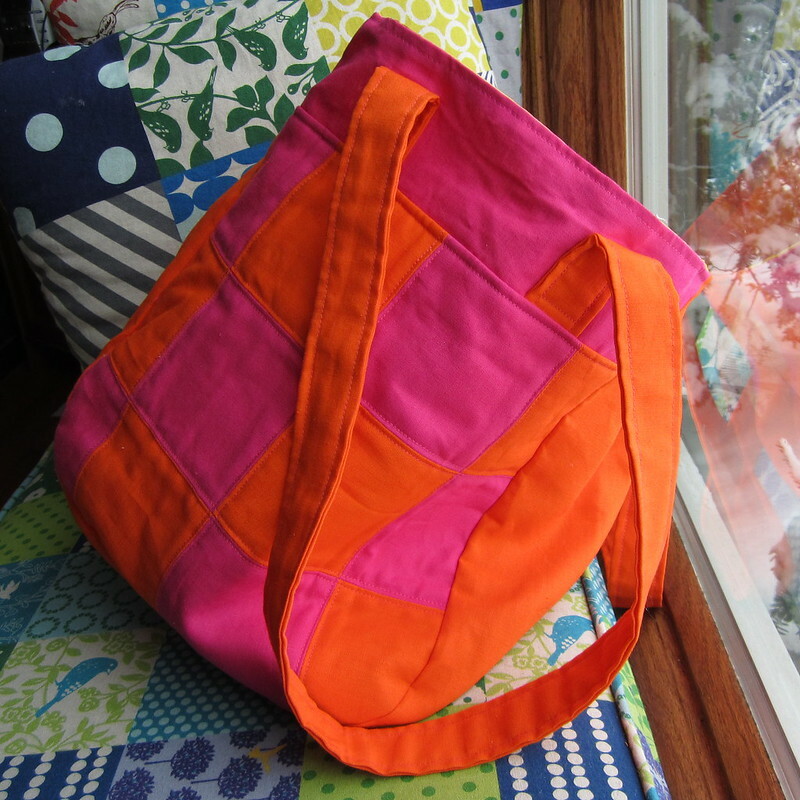 I finally made a super tote! I posted about this pattern a while back, and then I didn't use any of the fabrics I intended. No echino was involved! 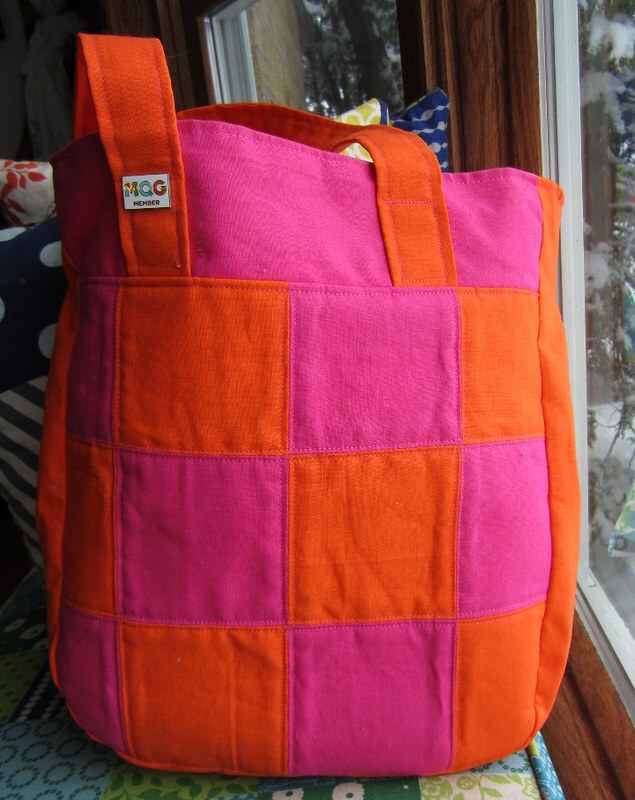 It's 1 yard of Essex linen orange, and a half yard of pink (though, I didn't use all of either). Though, it's huge! Seriously, it's monstrously large. Which is actually perfect for me, as I tend to need to carry a ton of stuff with me, apparently. For the pieced front I made 5" stripes of both colors, sewed them together with 0.5" seams, ironed them open. Cut it into 5" stripes, sewed with 0.5" seams, and pressed them open. Fused it to fusible fleece, then quilted a 1/8" from the seams, with hot pink thread. Then assembled the bag as directed. Also with hot pink thread. I also skipped the interior pocket, cause I didn't think I'd use it. I treat my bags like black holes... I also didn't put any zipper or closure of any kind (because I forgot!) 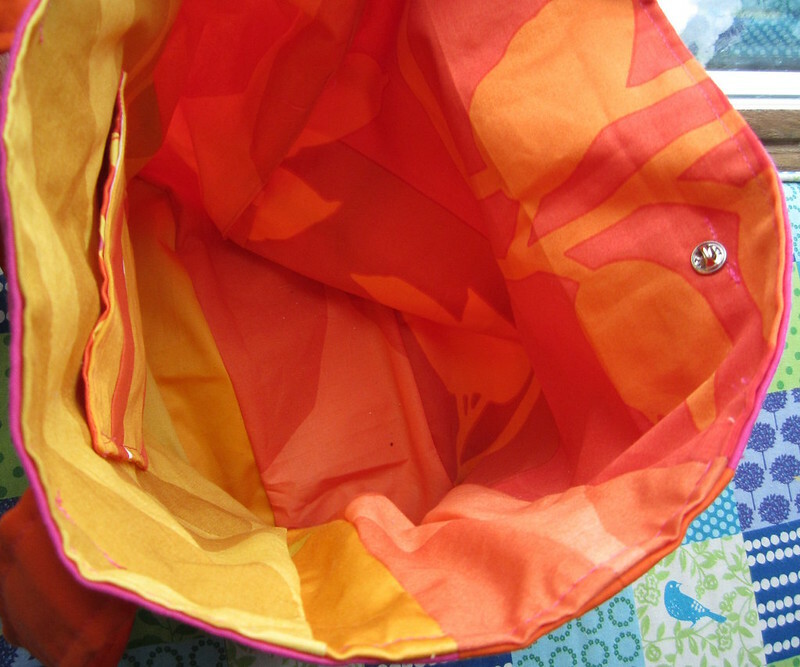 I did make a little pocket for the side of the lining. For the lining I used these amazing home dec scraps that Ronit gave me! Well, just the orange and yellow ones. This leafy one is my favorite! I took it to work on Friday, and one of my coworkers suggested it was too bright for winter! 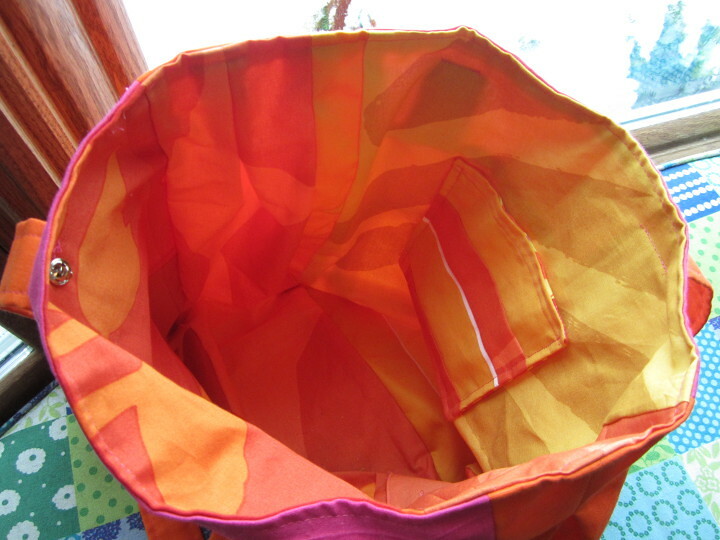 I said, because of the endless winter, we needed bright bags more than ever!